Well, not really. This weekend my mom is organizing a big reunion of my maternal grandmother's family. We haven't gotten together in 11 years, and I've been spending the last two nights preparing a slideshow of old family photos. 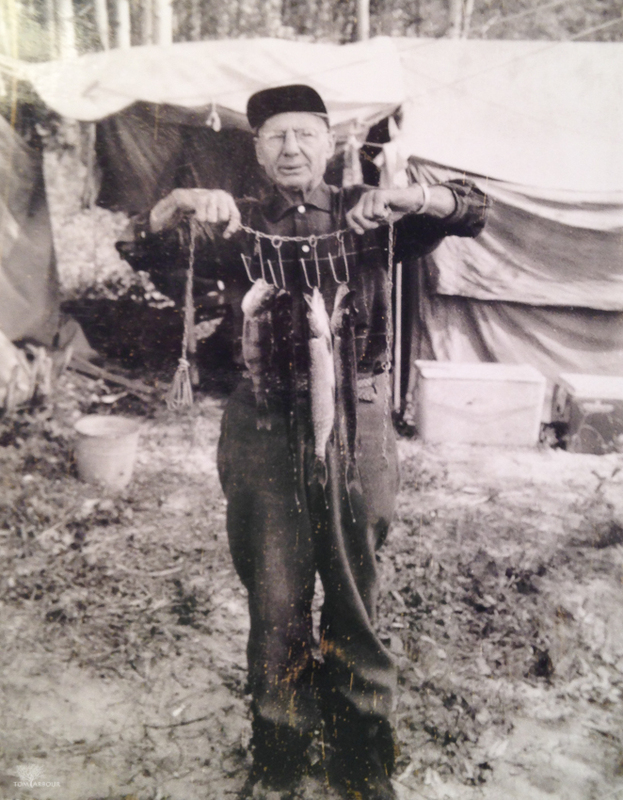 Here's a gem that I thought you might like- my great grandfather Floyd Hill with a nice rack of fish, most likely caught somewhere in Canada. If you remember my post on my historical fishing tackle, most of it I believe was his originally.